This method has quickly become one of my faves. In fact, I’d rate it up there alongside the Must-Do Method, which I use on the daily. I heard about the “brick by brick” method in motivational speaker Mel Robbins’s Audible original, Take Control of Your Life. In this audiotext, we listen in as Mel walks six coaching clients through the process of identifying how to achieve their dreams through one practical method: taking it brick by brick. I realized as I was listening that Mel’s method might answer a huge question I’ve been wrestling with: how can I actually achieve my dreams and goals without feeling overwhelmed at the bigness of them? Despite my best intentions to achieve my dreams, I sometimes feel unsure about how the hell I’ll actually actually get from point A to point Dream. Feeling unsure can easily morph into negative self talk, black and white thinking, and what I call “bunny holing,” where I want to hide from the world by figuratively diving down into a hole in the ground like a bunny. Like most self development wisdom, this sounds as if it should be a piece of cake. However, sometimes our dreams can feel too big or daunting, and sometimes the imposter syndrome devil on our shoulder will try to convince us that we shouldn’t even try. That’s why the brick by brick method helps: it pulls us into the present moment, focuses our attention on one achievable goal, and allows us to make real progress. Think of it like building a building from the foundation up, or building a walking path, each individual brick at a time. I’ve been applying the brick by brick method to two big parts of my life that have the potential to stress me out: working on my dissertation and preparing to move from Western Massachusetts to Eastern Massachusetts at the end of summer. Both tasks require me to exist in a space of curiousity (or dread, my choice). Below, I walk you through how I’m using the brick by brick method in my dissertation, and I’ll share another post someday in the next couple months about my move. A couple months ago my dissertation chair and I decided that I should try approaching my dissertation from a new angle. Instead of writing on one genre per chapter, I’m going to write about one theme per chapter. When my chair and I were reviewing my first draft of my new chapter, she gave me some wonderful feedback in the form of lots of questions (what if you try this? have you considered that? are you forgetting the other thing?) and formatting suggestions. I went into my revision with a collection of notes, including my notes from our session, her comments during our session, and her in-text comments on the draft. When I sat down to revise, instead of diving right in to checking off every comment in my three separate note files, I slowed down, reviewed all three, and then made one masterlist of all comments. Once I’d done that, I further narrowed down my list into bricks by synthesizing the list items into the real steps I had to take when revising. I now have eight specific bricks to achieve in my revision process, versus a running list of potentially overwhelming and confusing notes I’d taken during our meeting. I’ve since added two more bricks. I might refer back to my longer list as I revise, but I can use this list of bricks as a way to focus my attention and track my real progress on my dream to complete my dissertation. It is equally important for you to connect to your dreams and to the small bricks that will help you to achieve them. Having a keen awareness of both your dreams and their requisite bricks will allow you to feel in control and observe your progress from multiple perspectives. This week’s takeaway is a list of journal prompts that will help you to identify both your dreams and the small steps you’ll take in order to achieve them brick by brick. I suggest keeping both your dream and bricks lists somewhere you can see them, such as above your desk, in a digital sticky note on your desktop screen, or in the front of your notebook. If you start to feel blah and disheartened about your progress, look to your dream sheet. 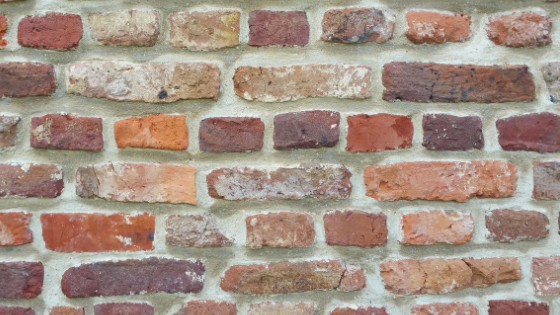 If you start to feel overwhelmed or experience decision paralysis, look to your brick sheet. I am framing the dream journal prompts in terms of “projects,” but please interpret that word broadly and feel free to replace it with another goal-oriented word that fits your own dreams. What will your finished project look like? How will you know you’ve completed your project? How do you want to feel when you’re finished with your project (emotionally, mentally, and physically)? Which of your personal skills, values, and beliefs will help you to achieve your dream? How will this project change your life, help you grow, or benefit you (and/or others)? Who is in your support system or rooting for you to achieve your dreams? What are the milestones you’ll need to hit in your process of achieving your dream? List them chronologically, and it’s okay to stay broad here (i.e., if your dream is “write a dissertation,” your milestones might be “write 5 chapters”). Are there specific deadlines for your project milestones and the tasks each will require? Write a draft of your deadlines, with a ____ to hold space for any dates you will need to decide later. Will anyone be giving your feedback or guidance as you progress on your project? Who? What kind of feedback and guidance would benefit you the most? How can you request your ideal style of feedback explicitly? Once you’ve answered the above questions, try to synthesize your answers into a list of key bricks that will help you to achieve your dreams and goals. You can always look back to your longer answers from this journaling session, but you should display and refer back to your list of specific bricks. Mel shared her companion workbook for Take Control of Your Life for free on her website. You can access it directly here in PDF format or sign up for her mailing list here for her to email it to your inbox. If you’re interested in making your own brick by brick plan to acheive your dreams, but you aren’t sure where to start or you’d like a little guidance along the way, consider booking a one-hour coaching session with me! You can read more about what a coaching session looks like on my work with me page, and email me directly to book a session today! Want to learn more? Sign up for my monthly Tending Letter!